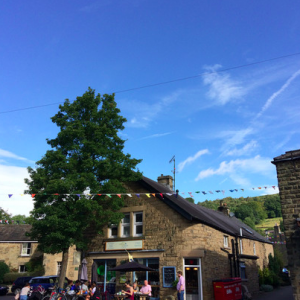 Village Green, the little cafe in the beautiful Peak District village of Eyam in the Hope Valley. It’s a great place to visit with lots of history, beautiful scenery and some lovely walks around the area. We are a great pit stop to allow you to refuel and relax with bike racks, pumps and some excellent accessories for your two wheeled adventures. Why not grab a slice of homemade cake to take on your journey? 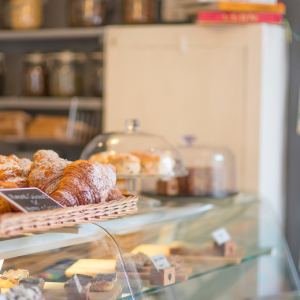 ​We have provisions for all the family including toys and colouring for little ones, as well as a yummy children’s menu. We are also dog friendly (for all you lovely walkers out there) and our fabulous coffee is triple-certified (Fair-trade, Organic and Rainforest Alliance approved) which keeps everyone happy! Above all, we hope you feel at home with us, eat too much cake, catch up with friends and family, take five out of your busy lives and just enjoy….